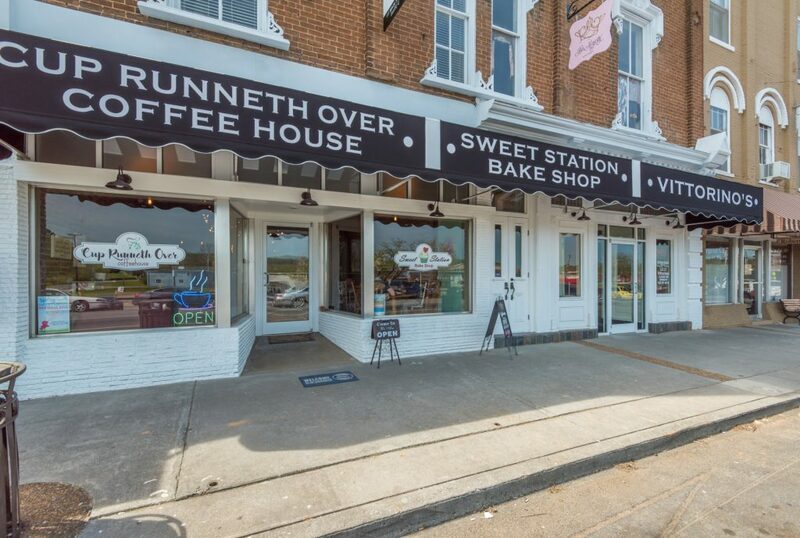 A big Crimson Cup welcome to Cup Runneth Over Coffeehouse in Sweetwater, Tennessee, which has joined the group of independent coffee shops, cafés and bakeries Crimson Cup supports in 37 states. The shop at 111 N. Main St., Suite A, is one of at least 18 new independent coffee shops scheduled to open in 2018 through our 7 Steps to Success coffee shop franchise alternative program. Despite her dream, Kendra knew only enough about coffee to brew a pot in the morning before her shift at the hospital. She turned to Crimson Cup’s 7 Steps to Success coffee shop franchise alternative program for guidance. 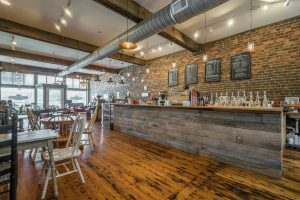 Based on Ubert’s book, Seven Steps to Success in the Specialty Coffee Industry, the 7 Steps program has helped hundreds of independent coffee shops open and stay and business. 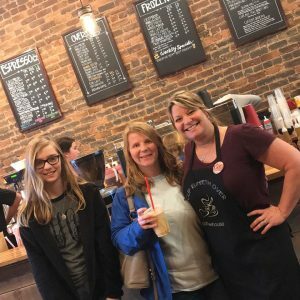 After renovating a vintage downtown building and working through training with Crimson Cup, Kendra opened Cup Runneth Over Coffeehouse in March 2018. The shop serves a full menu of hot, iced and frozen espresso drinks – including mochas, lattes and cappuccinos – as well as iced coffee and tea, cold-brewed coffee, hot chocolate, fruit smoothies and other custom drinks. Rounding out the menu are an assortment of sweet and savory treats such as maple bacon scones, baked apple fritters, muffins, cinnamon rolls, peanut butter energy bites, baked oatmeal and quiche. Crimson Cup’s coffee has been judged among the best in the nation. We were named 2016 Macro Roaster of the Year by Roast magazine. Our Ethiopian Kossa Kebena coffee won a 2017 Good Food Award, and our coffees brought home trophies and medals from the America’s Best Espresso competition and Golden Bean North America roasting competitions. The Cup Runneth Over mocha, which melds espresso with white chocolate and caramel, is the shop’s best-selling drink. For herself, Kendra prefers the many sugar-free options. We look forward to a long and prosperous relationship with Kendra and her team. To keep up with happenings at the shop, follow Cup Runneth Over Coffeehouse on Facebook. I love your website. Im still reading your stories. Im looking to open a coffee shop. Looking to try your coffee. Thank you! 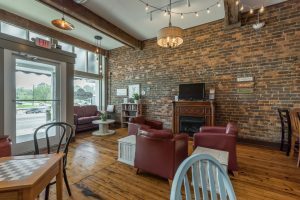 We would love to learn more about your coffee shop plans. We will be in touch to discuss your goals and share more about our Seven Steps to Success process and support!